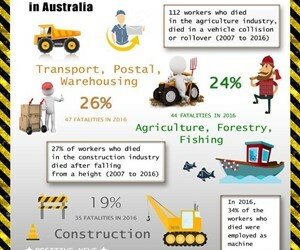 This infographic contains data from Safe Work Australia, in the periods between 2003 and 2016. 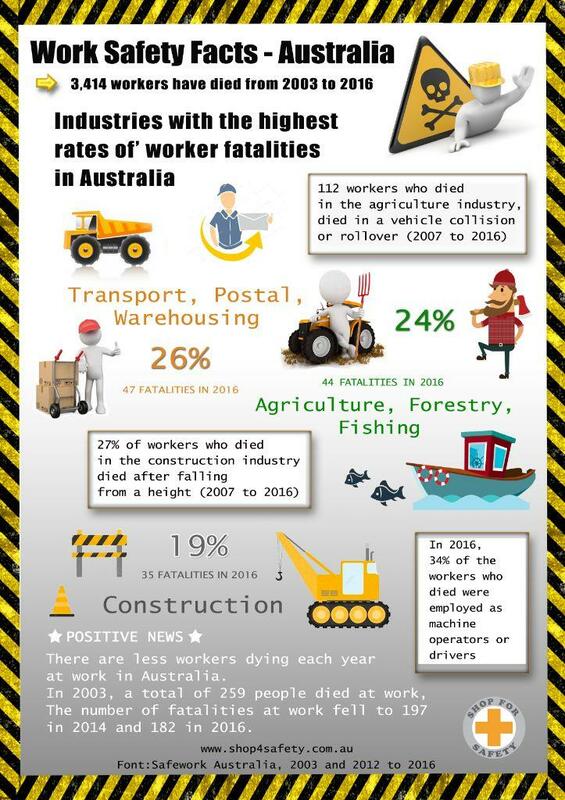 The data on this Infographic was taken from Safework Australia, between 2003 and 2016. 3,414 workers have died while performing their work in this period. This accounts for 69% of all the fatalities. But there is positive news. There are more workers in the workforce but the number of deaths at work is showing a slow decline over the years. By employers and employees working together, these numbers can be reduced a lot more.